Become the villain and take over the world. 2D action platformer Nefarious is coming to PlayStation 4 on September 11 in North America and September 12 in Europe, Switch on September 12 worldwide, and Xbox One on September 13 worldwide, publisher Digerati and developer StarBlade announced. 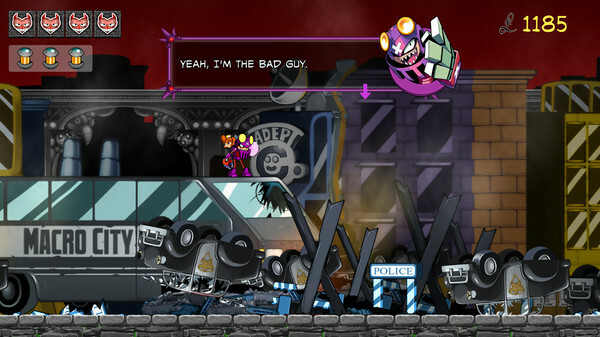 Nefarious first launched for PC (Steam) in January 2017. Lovingly crafted 2D animation and illustrated backdrops. Reverse boss battles let you fight against the hero. Globe hop between five different kingdoms. Unlock different ammo types for your grenade launcher. Mix and match customization options for your explosive punches. Story that spoofs the video game trope of princess kidnapping. Platinum Trophy and 1000G Achievements available respectively for PS4 and Xbox One versions.